At the beginning of 2018, Let’s Encrypt announced it was about to provide Wildcard SSL. After many delays, finally today, we were able to sign up for this certification free of charge. 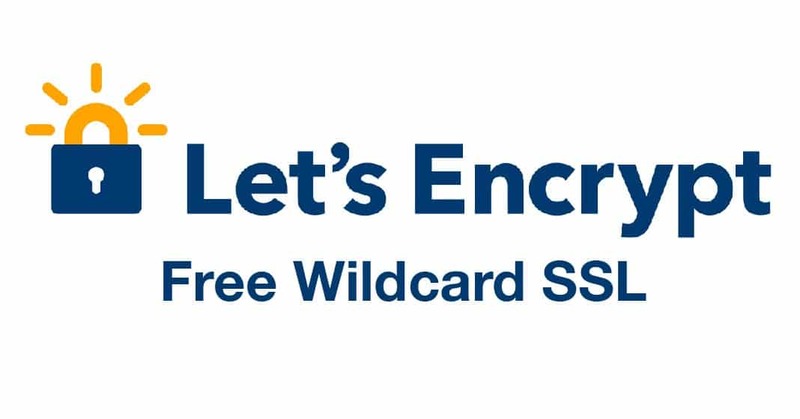 Specifically, Let’s Encrypt Wildcard SSL is SSL certificate can be used for all subdomains of the domain name of the form *.domain.com. You only need to activate once the entire subdomain can be installed using the certificate immediately. Wildcard SSL is ideal for using multiple subdomains like WordPress Multisite (subdomain)…. The process of installing Wildcard SSL certificate is slightly different than the normal Let’s Encrypt installation, and not everyone needs to use Wildcard should learn VPS will write a separate tutorial. Wildcard SSL also has a 3 month grace period so you need to configure the crib to automatically renew crontab. – Wildcard SSL requires Cerbot version 0.22.0 or higher. Version checking automatically updates Certbot to the latest version. Wildcard SSL is only for subdomains of the form *.domain.com, not secure domain.com. So, if you need to, you should enable SSL and Wildcard SSL domains simultaneously in one certificate. The example in this tutorial will guide you to issuing certificates for both the domain easypromocode.com and all subdomains *.easypromocode.com. Let’s Encrypt will install the necessary tools. Then enter your email address, agree to the rules. Enter the email address used to send the notification. Accept the press rule Aand agree to receive the news via email, Y/Nis. Gi continuing, verify the record is deployed. This is the most important step, authenticating domain ownership by creating two TXT records with content displayed on the screen. Then press Enter. So, you’ve successfully issued the Let’s Encrypt certificate – including DV SSL and Wildcard SSL.